The Uconn Huskies football team played a thrilling game against the Cyclones of Iowa State this past Friday night. 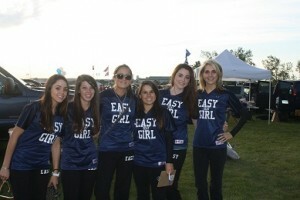 While the action on the field was intense, it wasn’t the only thing getting fans all riled up because the Easy Seat Girls were rocking the tailgate, mingling and handing out freebies to the Uconn faithful. I wonder why they’re easy? Was the resonating question in the parking lots as the EasySeat marketing campaign got under way promoting Connecticut’s best ticket vendor. 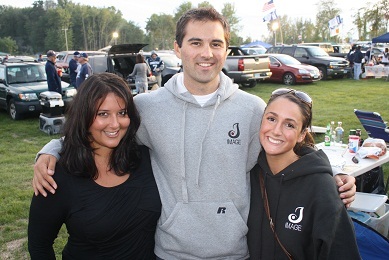 Between the hot action and the field and the girls heating up the tailgate, fans were certainly able to keep warm on what was a brisk fall evening. 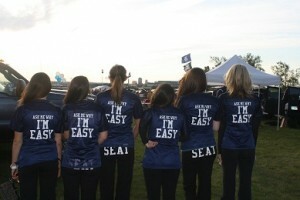 “Ask me why I’m Easy” is a non-traditional marketing campaign designed to reach consumers in a new and exciting way. A street team, known as the “EasySeat Girls,” was walking around the tailgate to spread the word about the company and to gauge interest in its service. This tactic is a form of viral marketing and is a great substitute to a more traditional advertising approach. After all, “word of mouth” is one of the best ways to market any business. The entire campaign, which was managed by Image Marketing Consultants, included a promotional plan, strategic radio buying, a concentrated advertising scheme as well as the event itself. All in all it was a huge success and will continue at the next two Uconn home football games. Come out October 1st as the Huskies take on Western Michigan and be sure to get there early for the tailgate to meet the Easy Seat Girls!